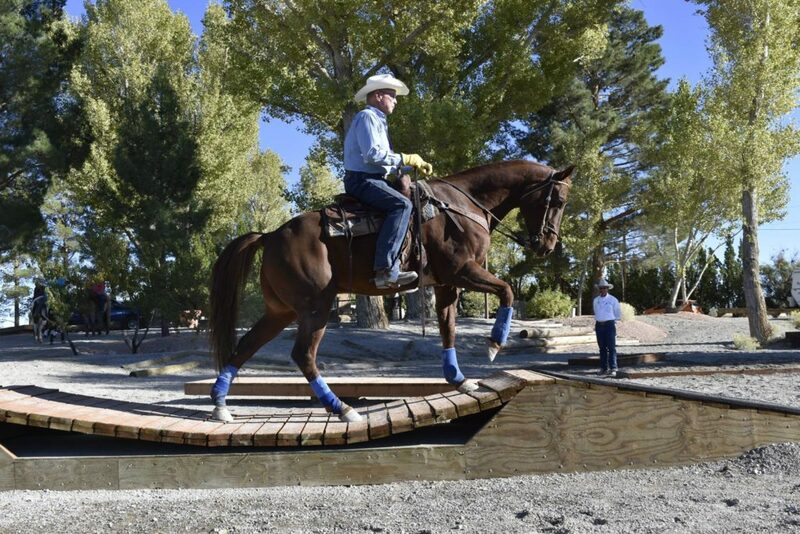 Happy Hoof Beats Equestrian Trail Park of Southern Nevada is the Southwest’s only International Mountain Trail Challenge Association’s (IMTCA) sanctioned Extreme Mountain Trail course and event center. The state-of-the-art trail course features 29 unique and authentic obstacles designed and built by three-time Mountain Trail National Champion, Mark Bolender. The course was designed to simulate a mountain trail so that equestrians six years old and up can experience riding an extreme mountain trail in a safe, fun, educational, recreational, and or competitive environment. 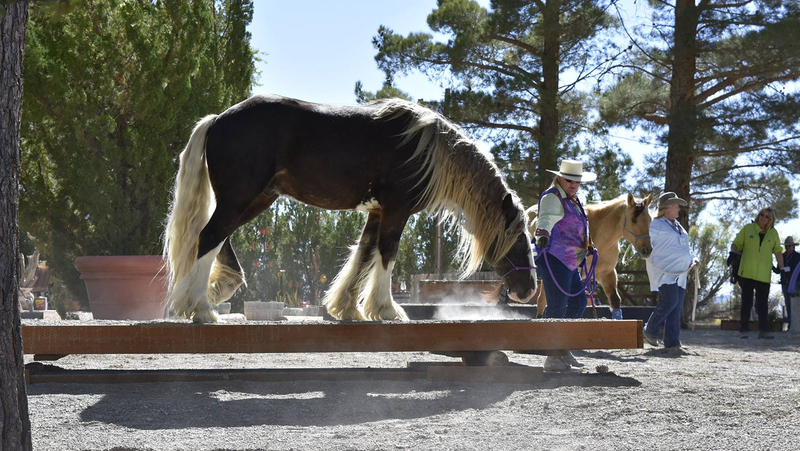 Riders and handlers have the opportunity to use the park as an instrument to develop good horsemanship skills and ultimately build a trusting partnership with their horse.